Get exposure! Advertise with OaklandCountyMoms.com. 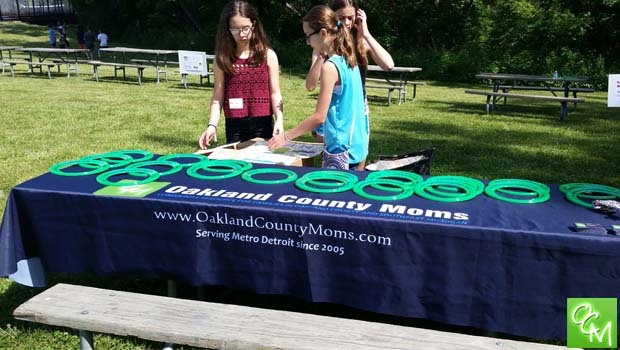 Oakland County Moms is an established and respected top community online resource reaching families in Oakland County, Metro Detroit, SE Michigan and beyond! Don’t have an ad designed? We can do it for you! *Full corporate sponsorship opportunities exist on this site. Sponsorship includes prominent exposure throughout the site. ** Page-specific sponsorship opportunities exist as well. Pages open for sponsorship include: Local Activities, Restaurant Reviews, Michigan Travel, Health, Reviews, Recipes or any of the sections on our Oakland County Directory – Birthday Parties, Cider Mills, Parks, Dog Parks, Libraries, Farmers Markets, Kids Eat Free, Kids Clubs, and more. Minimum of a three month commitment. Rates depend on position. Feature your business on our site’s member deals page. Place a printable ad offer on the coupons page, and be seen with other special offers for the OaklandCountyMoms.com community serving Oakland County, Metro Detroit and all of SE Michigan. We’ll design the e-coupons. If you have a “story” to tell about your Oakland County or Metro Detroit, Michigan business, or if you just want to be able to give a detailed description about what you do and what you offer, write a full article (Advertorial) and have it placed in a related section on the site for readers to see. Your article will remain on the site indefinitely for continuous advertising exposure for you. For a small fee in conjunction with an ad purchase, we offer personalized reviews of local restaurants, services and businesses. These reviews highlight all the features of your business and remain on our site. We try to put your Oakland County or Metro Detroit, Michigan business in the best possible light by using photo galleries, video coverage and comprehensive descriptions. Contact us if interested. We are active on Twitter, Google+, Instagram and Facebook and have a combined “following” of over 27,500 loyal fans in our social media arsenal. We can “tweet” your message to our followers or customize a facebook or Google Plus campaign for you. Your word can reach our 10,400+ members directly with placement in our bi-weekly e-newsletter. • Call us at (248) 989-9455 to discuss your sales, marketing and advertising needs. • Submit the form below and we’ll get back with you in 1 business day or less.